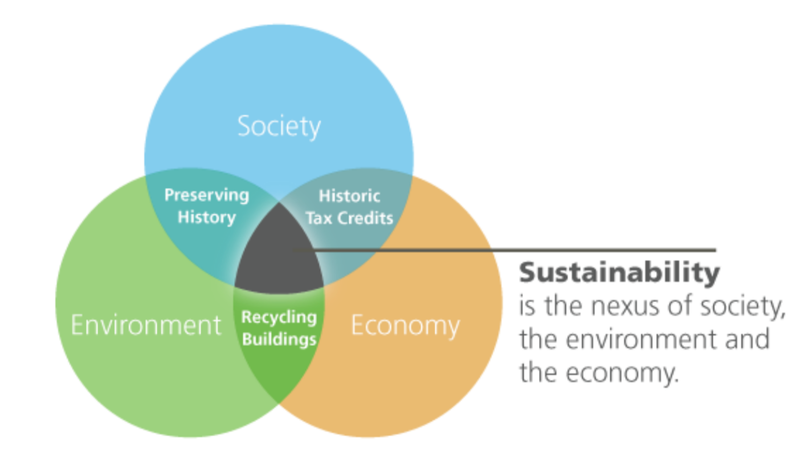 The concepts of sustainability and historic preservation are ultimately concerned with how our current actions will effect the lives of future generations. Both are concerned with a sense of loss – cultural or environmental – that may be felt by our collective descendants. One of the reasons we started this company is because there’s an unfortunate misconception that historic buildings cannot be sustainable. The myth is that it is ‘better’ (environmentally) to demolish a historic building and replace it with a newer one containing lots of high performing technology. This scenario rarely takes into account the damage the demolition would do to the cultural fabric of a place or the negative environmental impacts caused by the demolition. With more than 275 billion square feet of existing building stock contributing to the consumption of energy in the US, it is crucial that we continue to improve the energy efficiency of existing and historic buildings if there is any hope of meeting the energy reduction targets set by the Architecture 2030 challenge. Existing and historic buildings possess the silent power to connect the past to the future. Not every building is worth saving but serious consideration of the environmental and cultural impacts of the demolition of a historic building must be taken prior to their demolition.